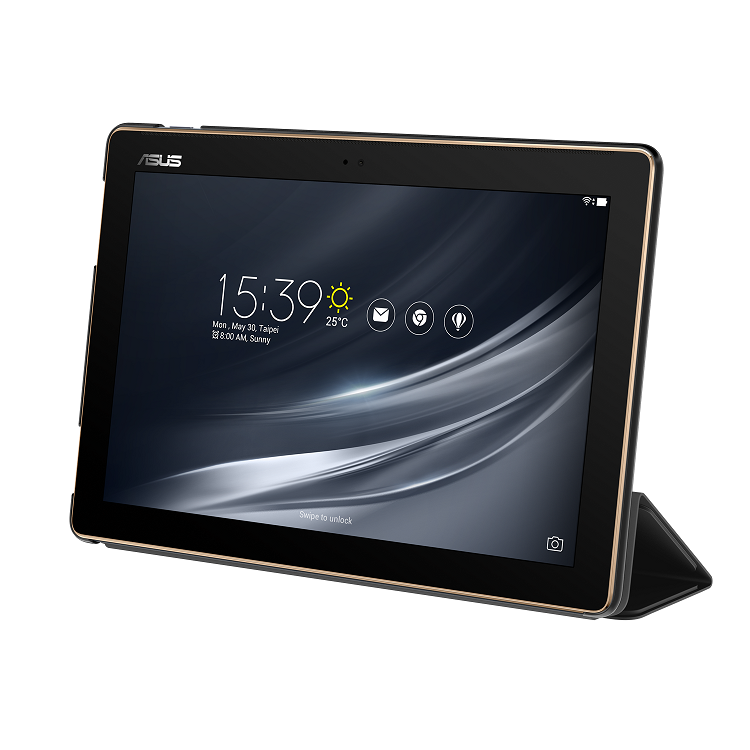 Asus has announced an all-new version of ZenPad 10 (Z301ML/MFL), a premium 10.1-inch Android™ tablet that combines unique styling, incredible visuals and audio, fast performance and long battery life to create the ultimate tablet for entertainment. ZenPad 10 features a gorgeous, fashion-inspired design with clean lines and an embossed woven texture for a luxurious appearance that’s unique among mobile devices. Ergonomic rounded edges make ZenPad 10 comfortable to hold and carry, and its polished metallic frame adds a bold visual accent. Powered by a 64-bit quad-core MediaTek 8735 processor, ZenPad 10 delivers outstanding performance for smooth multitasking, video-watching and gaming. A high-capacity, 4650mAh battery delivers up to 13 hours of video playback for extended entertainment, and a reversible USB Type-C™ (USB-C™) provides easy, convenient connections for productivity and charging. Complementing its stunning display, ASUS ZenPad 10 is built with dual front-facing stereo speakers that project rich, detailed sound directly towards the user for enhanced audio experiences when watching videos, listening to music, or gaming. With DTS-HD Premium Sound™ support, ZenPad 10 provides high-fidelity sound with any media via DTS-HD encoding, transforming stereo audio into virtual surround-sound for incredibly immersive entertainment experiences at home or on the go. For headphone listening, DTS Headphone:X™ support enables virtual 7.1-channel surround-sound for immersive movie and music experiences with headphones. Availability and the pricing for India is to be announced soon. I think the admin of this web page is actually working hard for his web page, since here every stuff is quality based stuff. Look at here now: How To Lock Files When Nobody Else Will.